I cut carefully just what this pattern said. Now it says this should be 11" square. It's 11 3/4. When I was teaching college, I had lost three students in two years. One went out with two friends, drinking, at night, on a boat, and all three drowned. I hadn't liked him much. Yet it was a loss. I kept wondering what I could have done differently, so that I might have liked him more. The second I barely knew, even though he sat in my class day after day, and never shared, never showed me part of himself. He drove his car into a bridge coming home from work. Alcohol was not involved. I kept wondering what I could have done differently, so that I would have known him better. The third - now this was a kid I knew well. He had been home schooled, super-intelligent, the oldest of a brood of likable, shy kids. I saw him grow over two years, in different classes. He really shined when he earned participation in a special program that sent a group to study at Cambridge. He blossomed. He became a leader. He had a great sense of humor, and a taste for the unusual. He studied fencing. 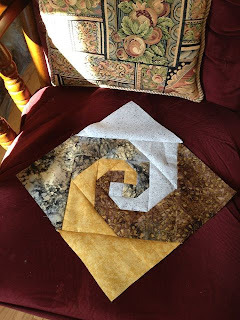 I was trying to quilt on my grandson's quilt yesterday, and it was so tiring - my shoulders were aching. Yes, I had put on the free-motion foot. Yes, I had changed the stitch length to zero. BUT, I hadn't put the little plastic piece over the feed dogs. Could that be why it was so hard, even if the feet were set to zero??? Ever have that horrible sinking feeling in the pit of your stomach when you realize that what you MEANT was not what was HEARD, and IT'S TOO LATE!! I said I thought we might take it all off, and she asked how much, and I said one inch, and not til much later did I realize that she was leaving only one inch of hair on my head. It was too late. She cut off all my gentle curls. It has taken me quite a while to get used to this boy-cut. But I have new appreciation for how little time it takes a man to get ready. Because no matter how I try to curl or mousse or fluff, this hair looks the same as when I do nothing to it at all.